Today, there are no natural systems without some form of human influence, nor social systems without nature. We increasingly recognize that social and ecological systems and the challenges they face are not just linked, but truly interconnected and co-evolving across space and time. In the interest of transforming the relationship between people and nature to a more positive one, and to strengthen existing positive relationships, we aim to prioritize conservation solutions that both benefit nature and improve people’s lives. However, in some cases the needs of people and nature will be in conflict. As such, there will still be times and places where we do conservation to protect nature for its intrinsic value, even when there is no obvious, immediate material or economic benefit to people. We increasingly recognize and understand ecosystem services: the many benefits that flow from biodiversity to people in ways that can sustain, enrich and fulfill our lives. Nature encompasses both biodiversity and ecosystem services, and the processes necessary to maintain them. Human well-being describes the state in which a person can act meaningfully to pursue chosen goals, enjoys a satisfactory quality of life, and has her or his needs met. We tangibly account for people in conservation in several ways in this Guidance. First, we emphasize how environmental changes affect all types of people, and in turn how conservation actions can positively or negatively influence people’s relationship to nature. People can directly and indirectly engage to preserve or restore nature. People can also be affected through our conservation actions and outcomes, whether it is directly through a conservation intervention or through changes in the environment. These people can be wealthy urban residents, rural farmers, corporate leaders, indigenous communities, underserved or marginalized populations, commercial fishers or miners, low- income communities or any other social group. Second, we offer a human well- being framework to systematically identify how our conservation strategies directly and indirectly affect these groups of people to ensure that we consistently consider all aspects of human well-being and how they may or may not intersect with conservation. Finally, we provide social safeguards considerations. Taken together, our framing and tools allow us to articulate and develop plans to maximize opportunities to benefit human well- being and minimize or avoid risks to people caused by our conservation strategies, which helps to increase the impact and sustainability of our work. Throughout this Guidance, we expand on and refer back to these tools and frameworks to integrate people into our conservation work. 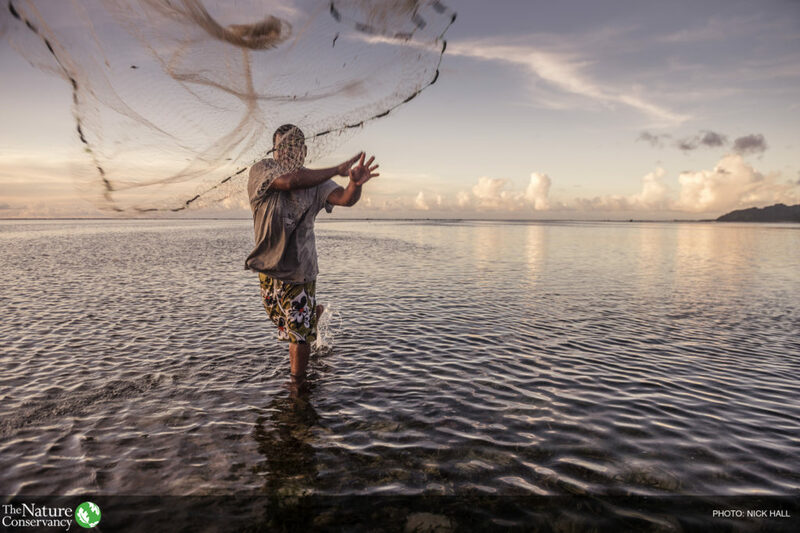 Because we have a focus on transforming the relationship between people and nature through conservation, rather than a sole focus on human development, we limit our work to the aspects of people’s lives that are connected to nature. These aspects are not fixed globally, but vary from place to place based on people’s livelihoods and preferences how the project’s socio-ecological system currently functions. These aspects are also subject to change as political, technological, economic, cultural, and other factors shift in the future. 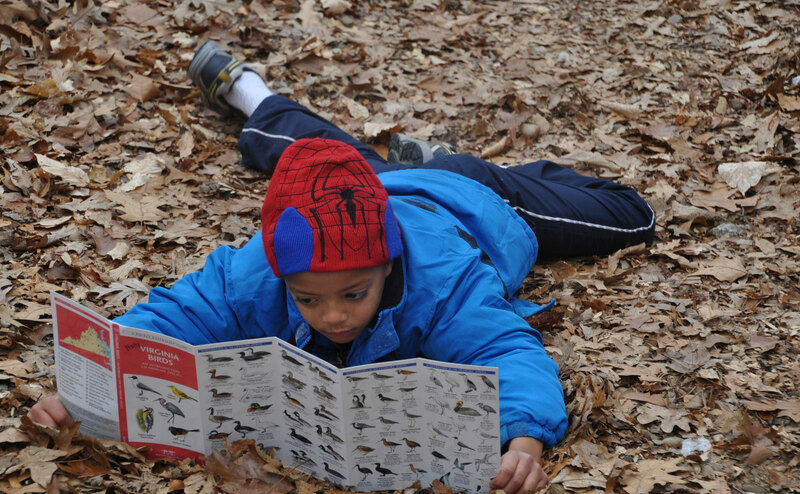 The instructions in this Guidance will help practitioners identify which aspects of people’s lives are connected to conservation in each case. Conservation success is most sustainable when it is the result of systemic change within a socio-ecological system, whereby people recognize the benefits they receive from nature and how their decisions impact nature and its ability to provide these benefits. In turn, through this understanding, people are compelled to act to conserve nature, creating or reinforcing an enduring virtuous cycle. To create this kind of change, the conservation and natural resource management communities must broaden their approaches to explicitly consider the benefits of conservation for people, how alternative decisions will impact these benefit flows, and how to acquire the evidence required for societal recognition of these benefits and to assess tradeoffs. 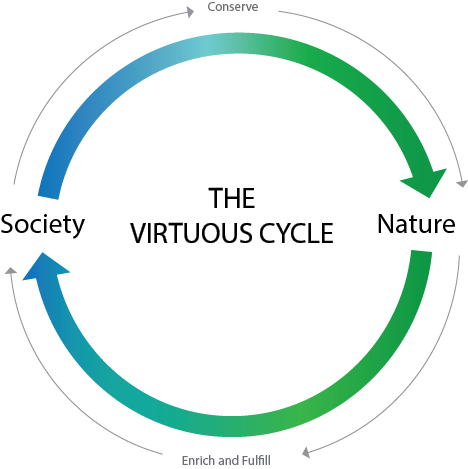 Additionally, in cases where the benefits provided by nature are already recognized by people, but their history of good land stewardship is threatened by an inability to meaningfully engage in management decisions for the lands on which they depend, the virtuous cycle is strengthened by empowering these actors. Accordingly, the entry point for Conservation by Design 2.0 is a socio-ecological system that provides the bounds for identifying significant problems facing people and nature. The conservation movement now must aim to transform and strengthen the recognition of the relationship between nature and human well-being. Today, as society struggles to meet growing needs for energy, food, water and other resources, solutions are often found at nature’s expense. In turn, resources are depleted, habitats are degraded, and invaluable species are lost. Damaged nature can then exacerbate food, water and other resource shortages, making unhealthy living conditions and vulnerability to storms, floods and other risks worse. This ‘vicious cycle’ can be transformed into a virtuous one, where nature — and the benefits it provides—is more broadly recognized as part of the solution to pressing human needs at local to global scales. The conservation approach detailed here is designed to reveal where and when we have opportunities to change or strengthen recognition of this relationship and help create – or reinforce, in cases where they already exist, ‘virtuous cycles,’ through conservation actions. Importantly, the scale of a socio-ecological system can be the globe, a major region, a country, or a landscape, seascape, or watershed (e.g., whole system). In addition, for the Conservancy, these systems may be defined in combination with ecological (e.g., a river basin) and/or human (e.g., a city, agricultural system, geography covered by a policy) attributes. This approach requires us to consider the systems we are trying to conserve as a whole. In the interest of transforming the relationship between people and nature to a more positive one, and to strengthen existing positive relationships, we aim to prioritize conservation solutions that both benefit nature and improve people’s lives. However, in some cases the needs of people and nature will be in conflict. As such, there will still be times and places where we do conservation to protect nature for its intrinsic value, even when there is no obvious, immediate material or economic benefit to people. Human preferences and needs vary from person to person and group to group, increasing the likelihood that some individuals and groups may oppose particular projects or that projects will benefit some groups more than others, or put some at risk while others benefit. Such conditions do not necessarily mean that a project should not be undertaken. However, in all our work, we must ensure that vulnerable, disadvantaged, and marginalized people and communities (e.g., low-income communities, indigenous peoples, communities dependent on the local environment, racial and ethnic minority groups, women, children, the elderly) are not harmed and we incorporate social safeguards into project planning and implementation. We typically think of social safeguards when working with indigenous communities, or primarily in developing countries. These are important contexts for these safeguards as indigenous peoples have collective rights recognized under international law, but there are many others. Nearly all conservation work now engages people as key stakeholders, actors, beneficiaries or potentially negatively impacted individuals or groups, so a review of safeguards at the beginning of any project is worthwhile. Requesting that teams formally consider social safeguards as part of our conservation process a new practice for the Conservancy, and so we list an abbreviated version of the 11 safeguard questions here. We provide the full list in Appendix C and refer back to the full set of safeguard questions in multiple places in the remainder of the website. If, upon reviewing the safeguards, a team determines the project has the potential to negatively impact any marginalized group, Conservancy staff should seek advice from the Diversity Office about how to proceed. Project teams may want to consider contracting outside expertise if they do not have the capacity to answer the social safeguard questions. Please see Appendix D for additional guidance about working specifically with indigenous people on conservation projects and the further reading and resources section for links to social safeguards guidance of various agencies. Has free, prior, and informed consent (FPIC) of primary stakeholders been obtained for activities affecting lands and other resources traditionally occupied and/or used by those stakeholders? Is there a plan for ongoing engagement with stakeholder groups to ensure FPIC as the program evolves? More information about the applicability of FPIC to Conservancy projects is provided at the end of this appendix. If applicable, does the project fully consider the dignity, human rights, traditional knowledge, and cultural heritage and practices of people affected by the project? What actions or considerations account for these aspects? Special consideration should be given to understanding who holds customary and formal rights and access to land and natural resources vital to livelihoods, and socio-cultural and human development. 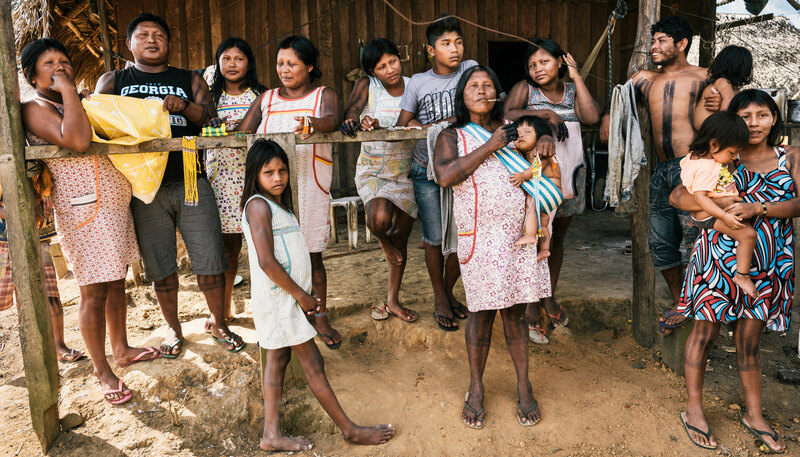 One resource for identifying lands with legal or customary rights and uses claimed by indigenous peoples can be found here. Note that customary rights or legal tenure also apply in many other contexts (e.g., water use [Western US water rights], land use in politically contended areas [e.g. small plot farming in Colombian Andes], recreational access [e.g. use of county easements for river access by minority groups for swimming or fishing]), etc. If the project contributes to sustainable economic and human development, is it done in a manner that is socially and culturally appropriate for the primary stakeholders? Is full consideration given to how to share or distribute benefits (e.g. recreational access, media attention, market access, representation in decision processes, increased income) from the project equitably, fairly, and transparently? How does the project ensure that adverse effects from conservation programs are assessed, prevented and mitigated for affected groups? Are all stakeholders being given the opportunity to meaningfully participate in the conservation planning and implementation process? How does the project ensure full and effective participation throughout the project cycle? Has consideration been given to the most vulnerable, disadvantaged, and marginalized groups, or those who lack voice and decision-making power who may be affected (positively or negatively) by the project? These groups may include indigenous peoples, communities dependent on the local environment, racial and ethnic minority groups, women, children, and the elderly. If applicable, does the project intentionally benefit gender equality, equity, and women’s empowerment? Does the project support transparency and accountability of natural resource conservation and good governance by consistently disclosing and sharing information about intervention plans with primary stakeholders in a culturally appropriate manner? Does the project comply with applicable local and national laws, international treaties and conventions, and other relevant rules? Is there an accountability system that is transparent and accessible for primary stakeholders to share concerns or file complaints about the conservation program? Accountability systems should ensure timely responses to stakeholders, and also monitor the effectiveness of the corrective actions. If there is a significant risk of adverse impacts that directly threaten marginalized groups, or that threaten the project (e.g., through reputational, financial, or legal risk), is there a monitoring system in place to track adverse impacts? For some projects, it may be helpful to break the eight focal areas down into more specific components, such as literacy, employment, income, or nutritional health. Please see Appendix E for more detail (i.e., components within each focal area) and discussion about the Conservancy’s human well-being focal areas and the further reading and resources section for links to other human well-being frameworks. The purpose of the human well-being framework is to aid in systematically considering how nature and conservation affect human well-being, extending our thinking beyond the most familiar facets of human life (e.g. jobs, income), to more clearly identify the aspects of life nature may influence (e.g. nutritional health rather than overall well-being). The Conservation Measure Partnership (CMP) offers guidance on Addressing Social Results and Human Wellbeing Targets in Conservation Projects. 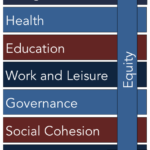 Systematically consider the full set of human well-being focal areas (Figure 3) when identifying relevant groups and considering how conservation and nature affect human well-being. Validate human well-being focal areas and components with stakeholders to ensure components are locally relevant. It can be tempting to focus on familiar aspects of human well-being. It can also be tempting to focus only on aspects of human well-being identified by stakeholders which conservation may have little or no power to affect. Finally, it can be tempting to look for available datasets and focus only on aspects of human well-being in those data. 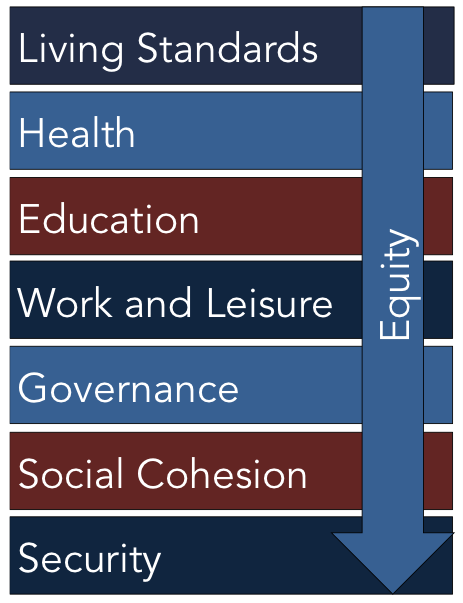 Not systematically considering all aspects of human well-being risks missing major human well-being benefits and risks. Consider positive and negative human well-being impacts. While it is important to highlight and quantify the benefits that conservation actions can provide to human well-being, it is just as critical to recognize the potential negative impacts. Negative impacts may not always be obvious during the planning stages, so it is important to continually engage with stakeholders and monitor whether and how conservation activities may negatively impact people. Some of the most commonly overlooked negative impacts include less tangible outcomes, such as disempowerment, exclusion of particular groups of people from the decision-making process, or unintentional distributional effects (providing benefits to one group but not another). Explicitly consider how to minimize, mitigate, or avoid negative impacts to people during strategy development. The Nature Conservancy requires preventing and mitigating negative impacts to vulnerable people from program activities. Not doing so can lead to mistrust, ill will, misunderstanding or even legal action from stakeholders, and decreases the likelihood that a conservation strategy will be successful and sustainable. It also increases institutional, reputational, and financial risks to the organization. The social safeguard questions summarized above and provided in Appendix C can help practitioners think through whether they are being inclusive, minimizing risk, and taking the right precautions throughout the conservation process. Article: Being around people who are different from us makes us more creative, more diligent and harder-working. Katharine W. Phillips, Scientific American, October 1, 2014. TED Talk: We feel instinctively that societies with huge income gaps are somehow going wrong. Richard Wilkinson charts the hard data on economic inequality, and shows what gets worse when rich and poor are too far apart: real effects on health, lifespan, even such basic values as trust. Richard Wilkinson, TEDGlobal 2011. Incorporating Social Aspects and Human Well Being in Biodiversity Conservation Projects. Downloadable PDF: Incorporating Social Aspects and Human Wellbeing in Biodiversity Conservation Projects. Conservation Measures Partnership. 2016. Toolkit: Every planning process has "choice points" - those places where decisions made will either increase or decrease equity. But how does one identify those choice points? And, perhaps even more importantly, how does one use those choice points to turn equity from a value to action? This toolkit from the Spark Policy Institute is designed for groups who tackle complex problems and want to integrate an equity lens into the decisions they are making. It specifically looks at how groups can focus on decisions made at those choice points to increase equity. Guidelines, principles, and tools for integrating human rights in conservation policy and practice. Guidelines and Toolkit: The Green Climate Fund is the first climate finance mechanism to mainstream gender perspectives from the outset of its operations as an essential decision-making element for the deployment of its resources.